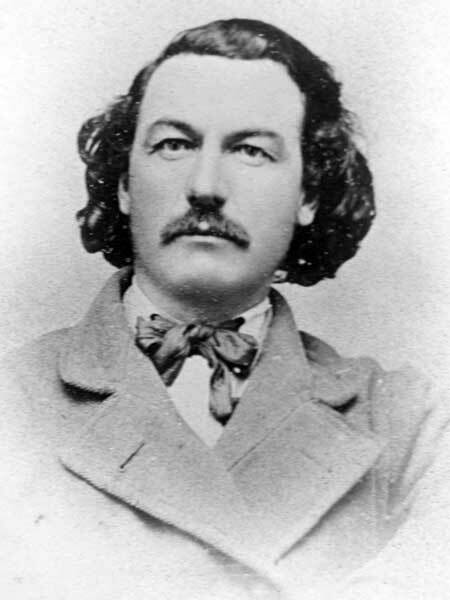 Farmer, MLA (1871-1874), MLA (1875-1878). Born on 19 September 1836 in the Red River Settlement, the son of John Palmer Bourke and Nancy Campbell, who came from County Sligo, Ireland, to the Red River Settlement in 1812. He was brought up on the site of Hay Field Farm, St. James. He subsequently owned this property which had been bought by his father from the Hudson’s Bay Company. In 1871 Bourke was chosen as a captain of the volunteers who organized to protect the country from the Fenian Raids. He was elected to represent St. James in Manitoba’s first Legislature in December 1870. Re-elected in December 1874, he was a member of the Legislature that abolished the Manitoba Upper House. In later years he served on the St. James council and on the school board. In 1863, he married Isabella Hallett (?-? ), daughter of William Peter Hallett and Maria Pruden. They had six children: William Bourke, Walter Palmer Bourke (1865-1866), Edmond Bourke (1866-1958), Maria Ann Bourke (1868-1973), Florence Bourke (1870-1955), Catherine Isabella Bourke (1872-1957), and Arthur Herbert Bourke (1875-1962). Bourke died at Ocean Park, California on 17 March 1915. His body was returned to Winnipeg for burial in St. James Anglican Cemetery. We thank Ray Chapman, a great-grandson of Edwin Bourke and grandson of Maria Ann (Bourke) Good, for providing a portrait and additional information.